As paid campaigns go, you might be more familiar with Facebook Ads and perhaps even using them in your ecommerce marketing strategy. It’s truly a battle of the titans with over 5 million businesses currently using Facebook for advertising, and Google Shopping campaigns driving 75% of clicks for all retailers in 2017. 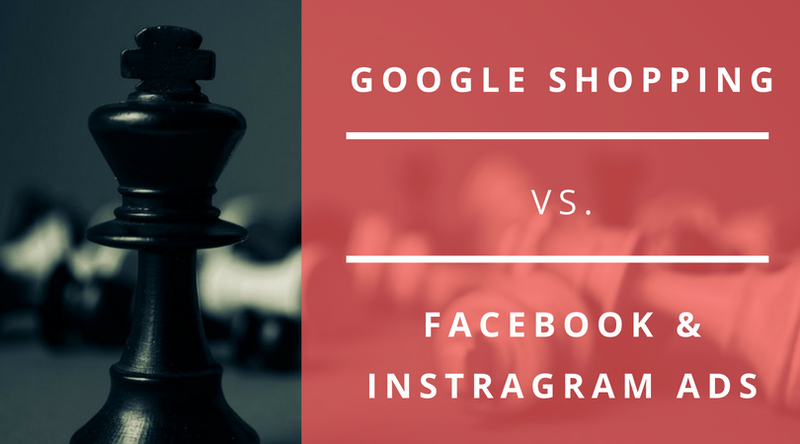 In this chapter we’ll be taking you through this battle, seeing how Google Shopping campaign features compare to those of Facebook Ads. Maybe you’re looking to optimize your budget and add more diversity to your omnichannel marketing strategy. Or, maybe you’re interested in finding out which platform you should redirect your budget to. After all, profitable campaigns start with knowing, not guessing. We’re taking the guesswork out and taking a good hard look at how Google Shopping Campaigns compare to this particular channel and, more important, which channel would work best for your business or if doing both is actually better. 1. What are Facebook ads, compared to Google Shopping Ads? 2. How do Facebook ads work, compared to Google Shopping Ads? 2.1 How much Information do Facebook Ads require, compared to Google Shopping Ads? 2.2 Creative effort – how much work do Facebook Ads need, compared to Google Shopping Ads? 2.3 Ad Placement – where do Facebook Ads show up, compared to Google Shopping Ads? 3. Who are Facebook Ads best for, compared to Google Shopping Ads? 4. Should you be using Facebook Ads or Google Shopping Campaigns? If Google Shopping is what’s referred to as “paid search”, then Facebook Ads are its equivalent as “paid social”. In the past few years, advertising on social networks has become one of the most rewarding and lucrative elements for ecommerce stores. As the social platform with the highest number of monthly active users, Facebook is a powerful marketing channel, where you can advertise and remarket your products to previous website visitors or attract new ones. Unlike Google Shopping campaigns, Facebook Ads interrupt the user’s main intent: social interaction. Because you’re advertising on a social platform, you can’t just ask people to buy with the very first ad you show them. Instead, you have to create an experience, tell them a story and create a sales funnel. First you peak their interest, talking about a problem. Then you make them aware of the solution and then you try to sell them on your product. Launch paid advertising campaigns that convert. Get a free PPC evaluation! In the past, Facebook required that ads on its platform featured no more than 20% occupation of the total advertising area to be text based. These restriction have since been relaxed, but ads are still being stripped of reach in various levels, depending on the amount of text. Facebook remains an inherently visual platform. Unlike Google Shopping, which is feed based and requires little to no artistic inclination, Facebook Ads require a higher creative effort. The best Facebook Ads are those that blend so seamlessly with the videos, images, and other visual content in users’ newsfeeds, that they can barely tell they’re being advertised to. 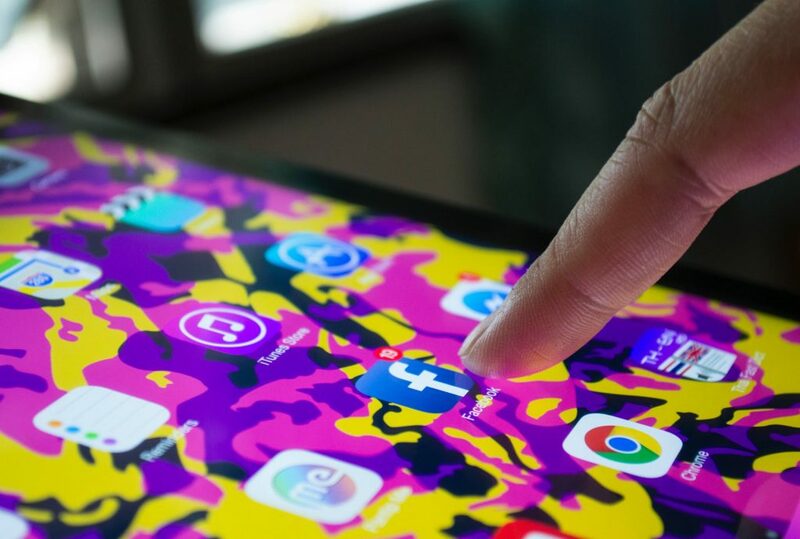 Facebook users are not actively searching for a solution, like they would be on Google, so you need to grab their attention with eye-catching, engaging content. Between the both, it’s easier to get on Google Shopping if you don’t have graphic design resources at your disposal, since you can basically rely on your product photo. Facebook Ads can be shown in the Facebook newsfeed, in Facebook videos, in the sidebar (on desktop devices), in Messenger conversations and alongside content or within apps across Facebook’s audience network. Additionally, you can also create ads to be shown on a user’s Instagram feed or their Instagram stories. What we’re seeing here, compared to Google Shopping campaigns, is placement in different stages of the purchasing funnel. Shoppers generally begin their product search on Google, actively searching for a solution and making analytic decisions with a higher willingness to buy. Facebook might be a better place of targeting shoppers emotionally, to rediscover a product or see it in a different type of context, where shoppers are merely scrolling through their feeds, not actively shopping. Unlike paid search platforms like Google Shopping, which helps businesses find new customers via keywords extracted from product titles and descriptions, Facebook Ads help users find businesses based on the things they’re interested in, their online behavior and of course, their demographics. Pretty much everyone you know is on Facebook, sharing most of their lives in detail. These types of consumers consume content that aligns with personal interests, beliefs and values, all of which can be targeted by advertisers with tailor made messaging in order to boost sales. One of the most interesting and useful applications of this technology is Facebook’s ability to identify custom audiences. You can literally give Facebook a file with email addresses or phone numbers and then target those users with tailor made, specific ads. The Facebook pixel can be used as a source for custom audiences, helping you create a list for people that have visited your website but haven’t converted. Next, you can target them with a more aggressive strategy, to ensure a future conversion. Another aspect Facebook is great at is creating “lookalike” audiences. Similar to custom audiences, in term of uploading customer information to Facebook, “lookalike” audiences are automatically created by matching other users to the data you’ve provided or to the data collected by the Facebook pixel. The resulting audience is made up of new users who exhibit the same interests and consumer behavior, allowing you to exponentially widen the potential reach of your ads. Give it a list of your very best clients and Facebook will search for profiles that match the ones you provided and potentially double your earnings. Unlike Google Shopping, which uses a tracking system based on browser cookies, Facebook Ads use their own measurement based on user profiles. Since they can unify a user’s sessions across devices and browsers, there might be a discrepancy between how Facebook reports on conversions and what you actually see in Google Analytics. That’s also related to Facebook’s conversion attribution system. The default 28-day click and 1-day view attribution means that Facebook will take credit for the conversion, even though a user may have accessed your website through a different advertising source before converting. Google Analytics will, however, attribute the conversion to the last referring source before the conversion itself takes place. Another tool in Facebook’s roster is their Offline Conversion Tracking, which can prove to be very useful for brick and mortar retailers. It allows you to send information about transactions that happen in store, data such as email, time and date of purchase, which Facebook can then match to actual people that were targeted by one of your campaigns. This allows you to actually see how many in store sales were generated by the campaign. Generate engagement with new audiences through contests, promotions, etc. For retailers with a new, not yet well-known product, they can be really powerful in terms of reaching an audience, generating demand and even sales. I remember working with one of our clients who had invented a brand new fishing tool that no one had heard of, or even knew existed. We started with Google Adwords but were getting very low numbers in terms of conversions so we decided to try a different approach. When we switched to Facebook Ads his sales increased 10x, because it was the right fit for the platform. An interesting product, presented to a very engaged audience (fishing enthusiasts) and people could buy it on impulse, since the price point was relatively low. If you’re selling branded merchandise or popular, well-known products, that already have a demand and have people already searching for them, you will probably have a higher ROI from Google Shopping than from awareness based platforms such as social media. Here’s the thing: Facebook is great for creating demand, there’s no doubt about it. What they’re not as good at is direct sales. Compared to paid search, Facebook Ads arguably have a more granular reach and better targeting opportunities to create awareness and interest in a brand, an event or a product. At the same time, Google Shopping campaigns are a better way of capturing high-intent customers who are ready to buy. Should you be using Google Shopping Campaigns instead of Facebook Ads? The truth is, they are both very different advertising opportunities with very different strategies. My advice? Experiment with both. Set aside $500 for each and see how it goes. It’s important that you get it right and then analyse your results and figure out what and how to allocate your time and budget for each one. Not to be forgotten is Instagram, Facebook’s younger cousin of sorts, which uses the same platform to create campaigns, optimize and see results. Instagram tends to skew towards a more youthful audience and provides a platform to tell visual stories through various ad formats. Contact us TODAY and get ready to attract more leads with our PPC strategy!